Kluber Architects + Engineers, in partnership with Lamp Incorporated, is pleased to announce the start of the City of Naperville Environmental Collection Center project. 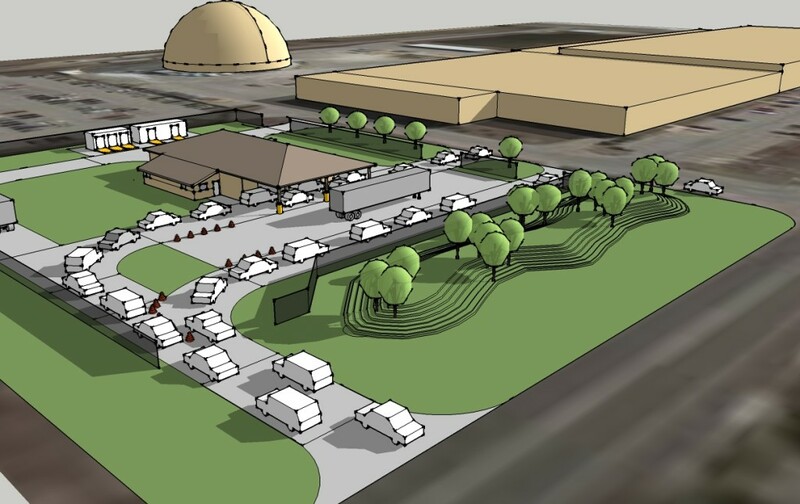 The new facility will improve the handling and disposal of hazardous household materials, electronics and other recyclable items, while serving residents of Naperville and greater DuPage County. The project includes design and construction of a 6,900-square-foot building that will house collection, sorting, storage, office, and staff spaces, as well as a covered drop-off area and supporting site development work. Based on our qualifications, the Lamp and Kluber design/build team was selected to submit a proposal, which included design, cost proposal, and project schedule. Through a collaborative effort, our team continued to work with representatives from the City of Naperville to further refine the project to meet a tight construction budget. The City of Naperville received a grant from the State of Illinois that will fund 80% of the project. Once completed, this innovative facility will be one of only four dedicated environmental centers of its type in all of Illinois. It is anticipated the Environmental Collection Center will be completed by early 2015.